There are many things to consider when it comes to getting toddler boy toys or gifts. Are they durable, educational, interactive, and entertaining? Trying to check off all these things with the wide range of toys available can be tricky. However, that’s why we’ve researched the top options and reviewed them below. All you need to do is have a read through them and decide which one your boy would enjoy the most. You can also find a buyers guide section at the end that provides you with even more details. If you’re after your little boy’s first car toy, this one would be a fantastic option. 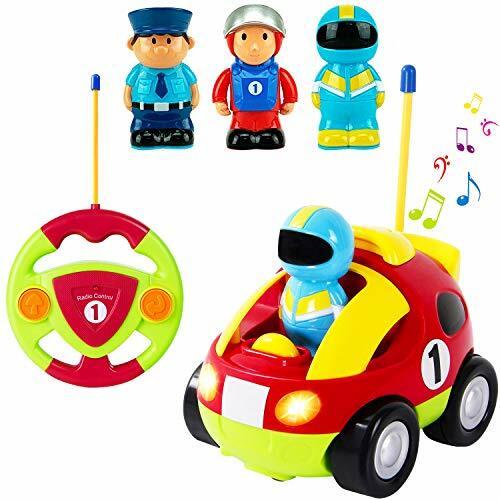 It comes with a remote that’s super easy to use and allows toddlers to control the car to move backwards and forwards. Using this remote is awesome for their motor skills and hand-eye coordination. We also liked how there is a range of sound effects and music, as well as headlights that flash as it’s exciting. The sounds effects and music are great for your boy’s auditory learning senses. There are also 3 toy figures available that kids can use to play with and use in their pretend play games. This is fantastic for their creative thinking skills. This is an awesome RC Car that your child can have fun using and getting to grips with the controls. 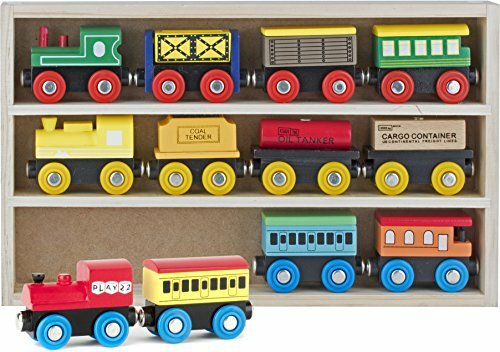 We liked how this toy set has a train theme as it’s something that many young boys are interested in. It comes with coaches, engines, a hopper car, cargo car, tender, tanker car, and more. The fact that it isn’t an electric train set makes it perfect for little toddlers. Therefore, there’s plenty for your child to play with and keep themselves entertained for hours on end. They also love using the set to play with imagination, which is great for their creative thinking skills. In addition to this, they have designed the set with bright colors. This makes it more exciting for children to play with. Not to mention, it’s excellent for improving your little one’s color recognition skills. Boys have been having a blast using this train set to play with a lot of creativity and stay occupied for hours. If your toddler loves dinosaurs, you can be sure that they’ll have a lot of fun playing with this Dinosaur Toy Set. 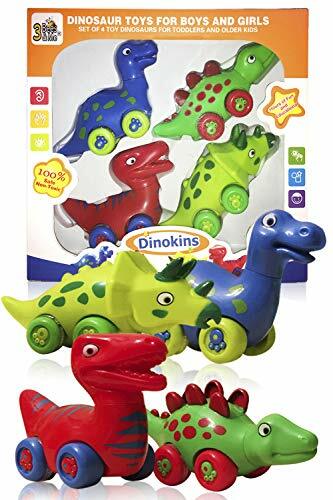 It comes with a range of 4 dinosaur toys that are available in different colors. These ensures that your child is provided with numerous toys to play with and be highly creative with. Furthermore, due to the colorful designs, your child’s color recognition skills can improve too. We also liked how this set involves a hands-on approach to playing. This helps children to develop their hand-eye coordination and motor skills. Parents have also been glad to find that the materials used are free from toxins. Boys have been having a ton of fun playing with this dinosaur toy set for hours on end and using their creative thinking skills. 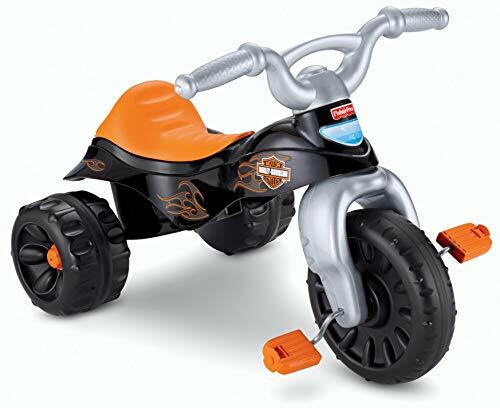 This Harley Davidson pedaled ride on toy features handlebars that have an easy-grip design. This ensures that your little boy is provided with plenty of grip to hold onto the handlebars firmly. We also liked how the pedals have been made with a larger design. This is because it makes it a lot easier for your little one to pedal with, especially if they’re new to riding these toys. This toy works effectively to encourage children to play with more activity and exercise. They also have a blast pretending that they’re riding a real Harley Davidson motorbike, which is great for their creative play abilities. This is an awesome trike toy that lets kids exercise more often while having fun and using their imaginative play abilities to pretend that they’re riding a real motorcycle. 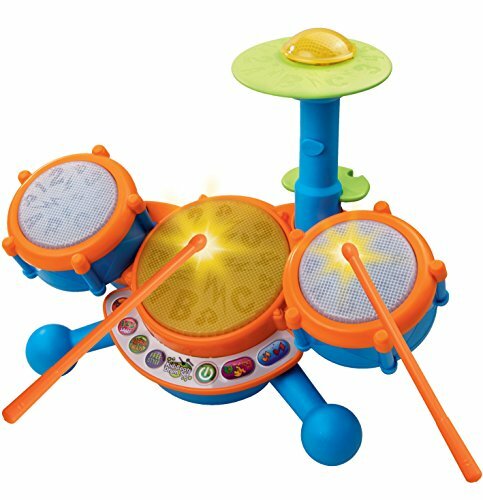 VTech’s Drum Set comes with a range of 3 drum pads that allow kids to experiment with the different sounds that they create. This is an awesome way to improve your toddler’s auditory learning senses. While hitting the various drums with the sticks that are provided, you can also expect your child’s motor skills and hand-eye coordination to fdevelop greatly. They also have 9 different songs to play around with to stay entertained for a while. In addition to this, we were impressed with how there’s an LED light feature available. This makes the set more fun for children to play with. It’s also great for their visual learning senses. Boys have been loving how they can create their own melodies by using the sticks to hit the drums. Their motor skills and coordination are able to develop as a result. 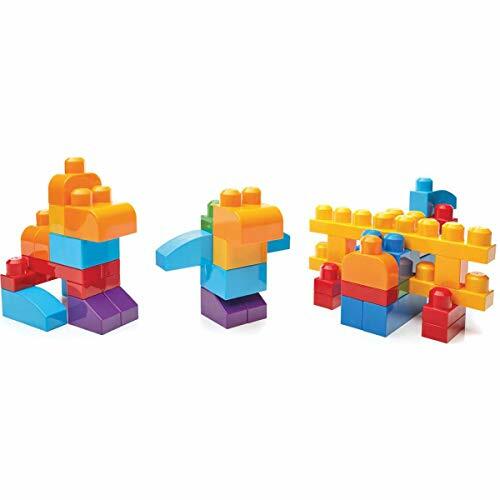 With 80 block pieces available, you can feel confident in knowing that your toddler will be engaged for a long time while playing with this set. We liked how the blocks come in different shapes and colors. This is because it improves your child’s color and shape recognition abilities. The size of the blocks have also been made for younger kids. So, your little one is able to hold onto them easier. As a result, their hand-eye coordination and motor skills are provided with a better opportunity to develop. A bag is also included which means storing away the pieces is a breeze, allowing it to be a good toy you can travel with. Boys have a ton of fun using the 80 blocks in this set to stay occupied for hours by building different structures and improving their motor skills and coordination in the process. 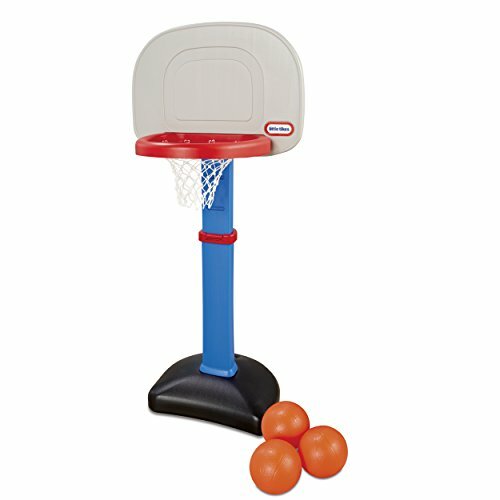 Boys have been having an absolute blast using this basketball set to play both indoors and outdoors. It’s a fantastic way to encourage your little one to play with more activity, regardless of whether they’re indoors or outdoors. When toddlers are throwing any one of the 3 small basketballs that are provided, their motor skills and hand-eye coordination are given an excellent opportunity to improve greatly. You can also easily adjust the height of the hoop between 2.5 and 4 feet. This makes it great for extending the height as your child grows taller. Keeping the base weighed down is also simple as you can use sand. We like how children are able to improve their motor skills and coordination while shooting the basketballs into the hoop, while also exercising more often. 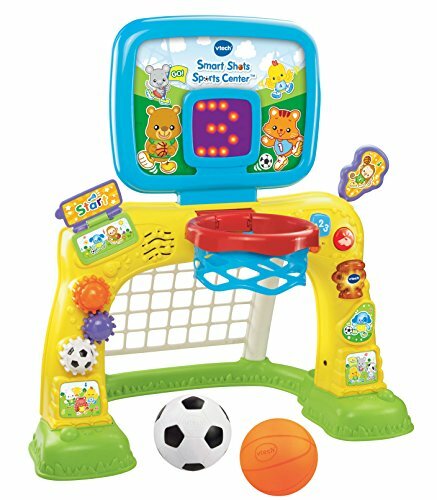 VTech’s Sports Center is another great option that encourages toddlers to play more actively. This one features a soccer net and basketball hoop in one. So, kids are provided with different choices to keep themselves occupied for a while. Children can develop their motor skills and hand-eye coordination while throwing the basketballs or kicking the soccer ball. We were also impressed with how there’s an LED scoreboard available. This keeps count of the score so that kids can have fun competing against each other. There are also more than 50 songs and sound effects available. These make the set more exciting for toddlers to play with. The 2-in-1 design allows kids to have a blast playing either basketball or soccer. No matter which one they choose, their motor skills and coordination are able to improve well. Does your little one take a keen interest in tools? If so, this Workbench Set may be an awesome toy for them to play with. It comes with a wide range of 68 parts, which provides kids with plenty to stay engaged for hours on end. We were impressed with how it comes with a range of 12 pretend tools as well. Kids have an absolute blast using them in their pretend play games by using their imagination. This is great for their creative thinking skills. Not to mention, using all of the toy tools is an excellent way for your little one to develop their motor skills and hand-eye coordination. In addition to this, the workbench is lightweight and easily portable. 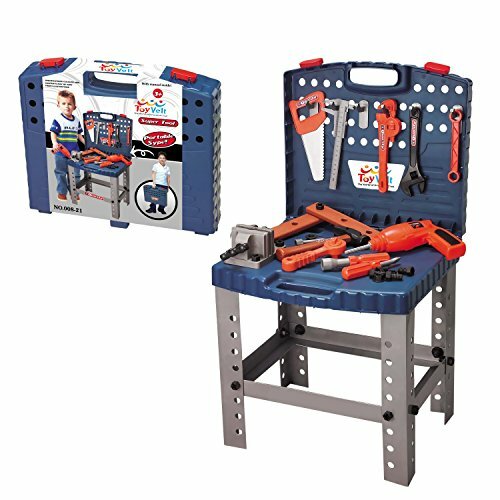 Kids who love playing with tools will have a total blast playing with this set for hours of creative play. Their coordination and motor skills are also able to develop. The toys in this set comes with a push function which allows kids to have a more hands-on approach to playing. As a result, their motor skills and hand-eye coordination can develop greatly. We also liked how these toys are available in a range of bright colors. This is an awesome design feature that makes the set more fun to play with. It also helps kids to improve their color recognition abilities. Children also feel encouraged to use these toys to play with more imagination. So, you can expect your toddler’s creative thinking skills to improve well. Parents have also been glad to find that the materials used are durable. Boys have a lot of fun playing with this set and using their creative thinking skills to stay occupied for hours. 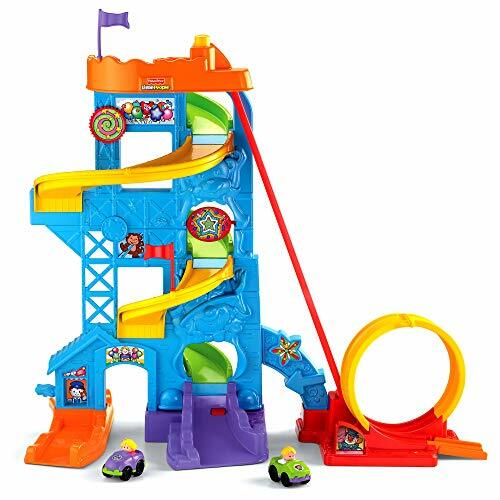 This toy set by Fisher-Price features a park an 2 vehicle toys. Toddlers have a lot of fun watching how the vehicles can zoom down the ramp and fly off at the very end. We liked how the ramp has been designed to look like a roller coaster. It makes the playing experience more exciting for children. As a result, they’re more likely to use their creative thinking skills while playing. They have also included a number of sound and light effects. These are excellent features that heighten children’s excitement levels even more. They’re also effective for improving your little boy’s visual and auditory learning senses. 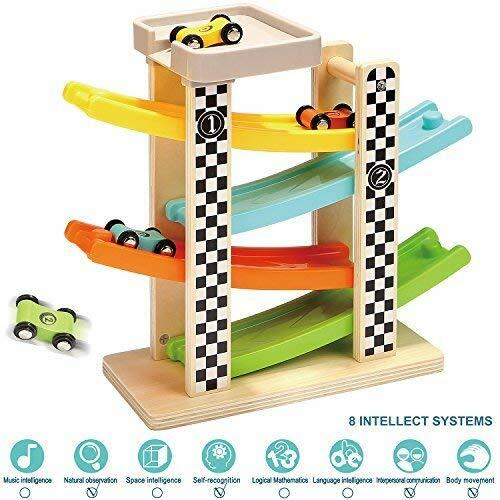 This is a fun set that kids love playing with as they can watch how the toy vehicles fly at the end of the ramp. The sound and light effects also make for a more engaging playing experience. We were impressed with how this Smart Cycle allows toddlers to play with it in up to 3 different ways. They can either use it for gaming, driving, or racing. So, they’re provided with plenty of options to have fun with for a long time. 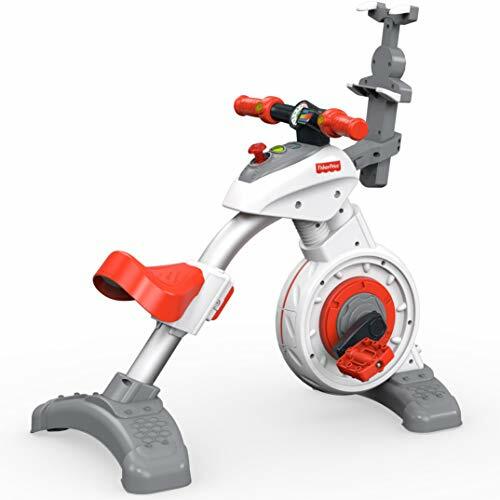 It has been fitted with Bluetooth technology, which means the cycle can connect to TV’s or tablets without any wires needed. As kids are pedaling, they’re able to see how it affects what’s on the screen. This is a fun way to encourage your child to exercise more often while also having fun. They’ve constructed the cycle using steel materials to ensure that it last for years to come. We also liked how the seat can be easily adjusted to keep your child comfortable. This is a unique kinds of toy for toddlers that enables them to have a lot of fun while also exercising. Toddlers are able to let their imaginative side run wild when playing inside this tent. We liked how it has a space design as it inspires children to use their creative thinking skills to play for hours on end. It also provides your little one with a fantastic opportunity to play with other kids. They can have an absolute blast getting together and playing in groups. As a result, your child’s social skills can improve. There are various sections to this tent. It includes a basketball pit, tent area, and tunnel that children can crawl through. Therefore, it encourages children to play more actively. It can also be set up and taken down with ease. 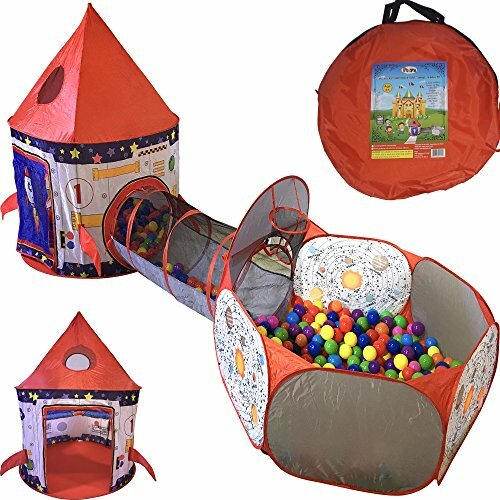 This is an incredibly exciting tent that toddlers can use to play together and improve their social skills, while being super creative too. If you’ve been searching for a toy that your child can use in the bath, this Fajiabao one would be an excellent choice. It comes with a fish hook that allows kids to try and catch the toy fish in the bath. This is an incredibly effective way to help your child to develop their motor skills and hand-eye coordination. 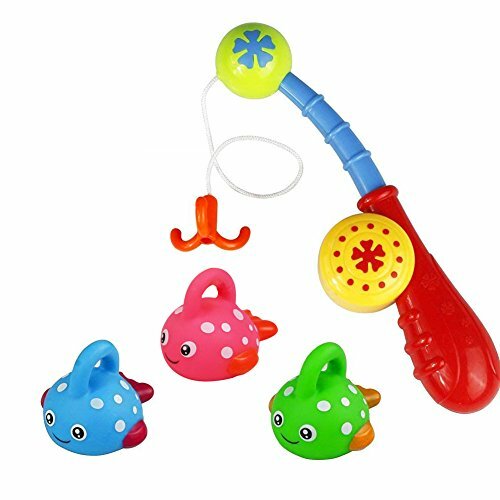 We also liked how the fish toys are available in a range of different colors. Children find them more exciting to play with. Furthermore, they’re able to improve their color recognition skills. You can be sure to keep your little one occupied with this set to make bath times a lot easier. Not only does this set make giving your boy a bath easier, it also develops their motor skills and hand-eye coordination. Children have been having a ton of fun playing with this Leapfrog Leaptop as it enables them to feel like they’re using a real laptop. As a result, they can role play what they may have seen others do. This is great for your child’s creative thinking skills. We were also impressed with how there are 4 different learning modes available. These helps children to learn more about the alphabet and how to spell. In addition to this, there are music features available, as well as animations of animals. These are excellent for making the learning experience more interactive and exciting for kids. 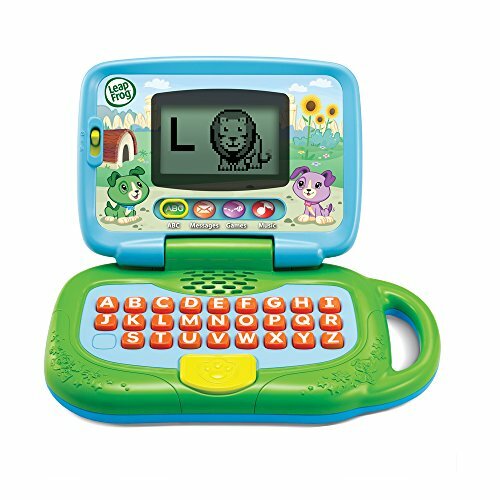 Kids have a blast using this pretend laptop to be creative and learn more about the alphabet and how to spell. Toddlers who love dogs will have an incredibly fun time playing with this Interactive Puppy toy. We liked how it’s able to bark, walk, and make a range of other sound effects that are realistic. 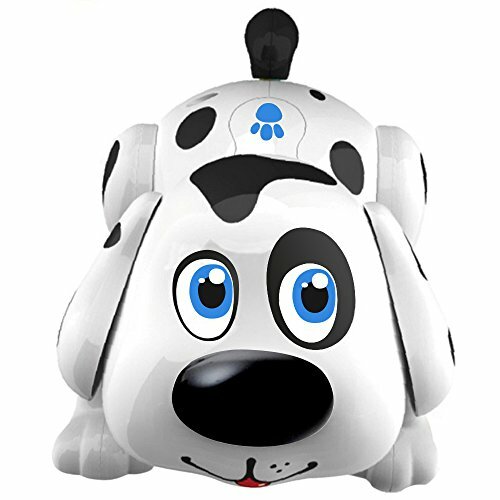 These features make the toy feel more like a real dog which inspires children to use it to play with more creativity. They’ve also created it with a fantastic dalmatian design that children have been loving. In addition to this, there are built-in sensors available too. These allow kids to touch the toy and watch how it responds to them. It can dance and sing, which is super interactive and encourages kids to get involved. The sound effects and dalmatian design of this toy make it feel more real for kids to play with. Therefore, children can stimulate their creative thinking abilities. 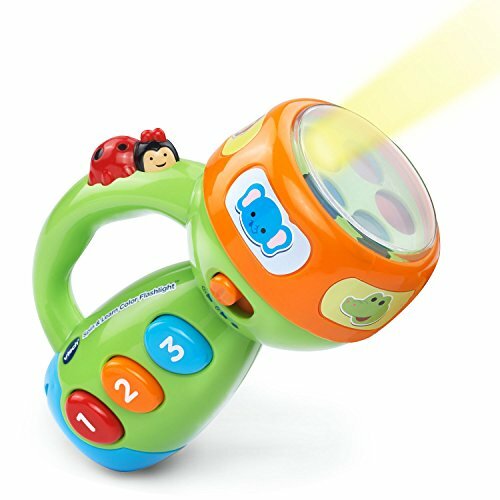 VTech’s Spin and Learn Color Flashlight is remarkably interactive and keeps toddlers engaged for a long time. Children can press a button to listen to the various sound effects and music. This is awesome for improving your little one’s auditory learning senses. Furthermore, the colorful design is super exciting for kids to play with. It’s also great for improving your little one’s color recognition skills. We also liked how this toy can teach children about numbers and animals in a fun way. Therefore, it’s a toy that’s enjoyable to play with, while also being fantastic for educating your child too. The bright colors, music, and sound effects make this toy engaging for kids to use. As a result, they’re more open to learning about how it can teach them about animals and numbers. 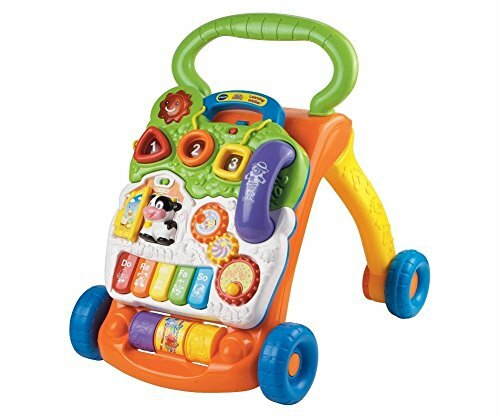 VTech’s Learning Walker features a panel for playing that can easily be removed and re-attached whenever you like. We were also impressed with how there are 5 piano keys available. These allow kids to make their own music. As a result, your little one’s auditory learning senses are able to develop well. Playing the piano is also great for your child’s motor skills and hand-eye coordination. We were also impressed with how there is a range of buttons that light up as it makes the playing experience more interactive. There’s also a shape sorting activity that improves your toddler’s shape recognition abilities. Toddlers have been having a blast with how they’re able to play the piano and make up their own tunes. It’s a creative process that improves their motor skills and coordination too. 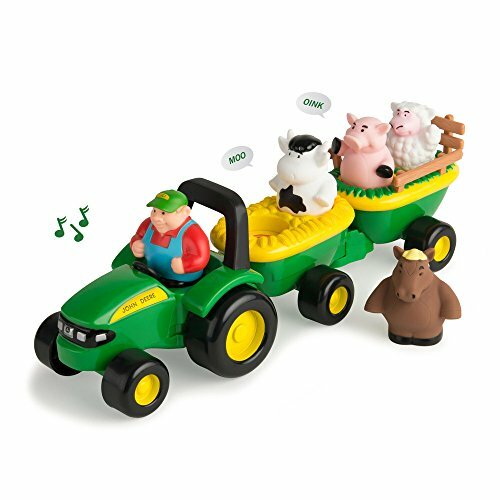 This John Deere Toy comes with a total of 4 farm animal toys which include a sheep, pig, cow, and horse. These are a lot of fun for children to use in their pretend play games, which is great for their creative thinking skills. It provides your little one with a great chance to learn more about animals too. In addition to this, they can listen to the sounds that these animals make. This is excellent for their auditory learning senses. Kids also have a blast being able to push around the toy tractor. It encourage them to play more actively, which is excellent for increasing the amount of exercise that your toddler receives. The sound effects make the set more interactive and encourages toddlers to want to learn more about the different animals. With 4 ramps that are available in different colors, toddlers are able to have a blast racing the toy vehicles down them for hours on end. The bright design makes it more fun and improves your child’s color recognition abilities. Furthermore, since it involves a hands-on approach to playing, children are able to develop their motor skills and hand-eye coordination. Parents have also been liking how the set can be easily stored away. We were impressed with how they have used high-quality wooden materials to construct this set. It provides you with the reassurance to know that it can last your child for years of play. Boys have been having a blast with this set and they’re able to improve their motor skills and coordination while playing with it. 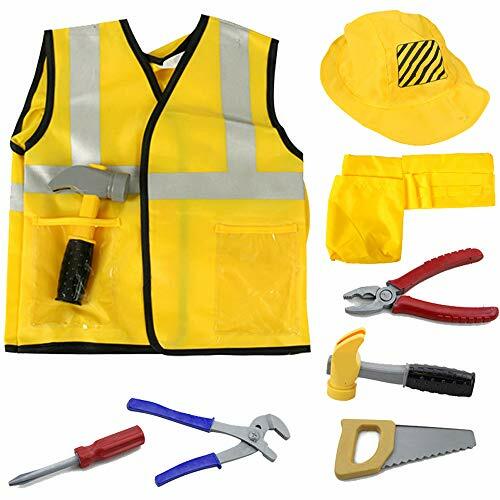 If your baby boy love to role play and dress up, this Construction Worker Costume would be an awesome little gift for boys. It comes with a hat, nylon vest, and a belt for kids to hold tools. They’ve included a range of toy tools that include a saw, hammer, screwdriver, and pliers. Since they have a realistic design, children feel encouraged to use them in their pretend play games. This is awesome for their creative thinking skills. Moreover, while kids are using the various tools to pretend to fix things, their motor skills and hand-eye coordination are provided with a great opportunity to develop. Due to how realistic the costume and tools are, toddlers feel encouraged to play with a lot of imagination. When it comes to searching for the best toddler boy toys, you’ll want to focus on the ones that are fun, while also providing your child with more beneficial features. For example, many of the options in this review help children to improve their motor skills and coordination, while also ensuring that there’s some kind of entertaining value to them as well. Finding this combination and identifying them from the wide selection of toys for toddlers that are available can be tricky. If you were interested to learn about some more details before you make a final decision, this buyers guide section is for you. 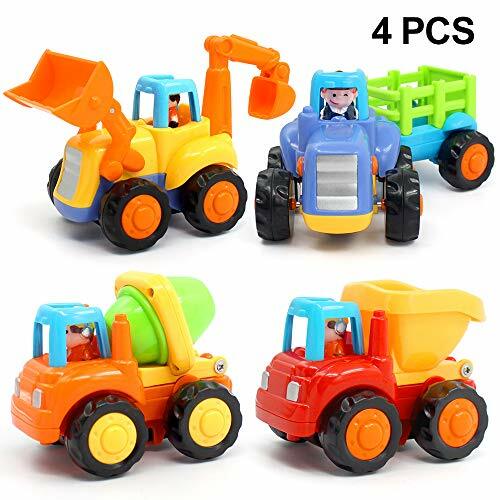 After reading through our review, you will have noticed that there are quite a number of different toddler boy toys available. To gain some more information about these different types and how to easily distinguish between them, take a look below. There are certain toys in this review that have a heavier focus on education compared to others. These are the kinds of toys that help children to learn more about numbers and the alphabet. If you’ve been trying to get your toddler to become more familiar with numbers and letters, finding an educational toy would be a great option. For example, the Leaptop enables kids to learn about the alphabet, numbers, and animals, while also having fun. Ride on toys are awesome for toddlers because they help them to improve their balance and coordination. They’re also incredibly fun and ensure that your child is able to play more actively. Outside sets are excellent for ensuring that your little one is able to play outside often as it’s important for their development and health. The sports sets that have been mentioned in this review are fantastic options to achieve this. We have made sure to include a number of musical toys in our review because toddlers have a ton of fun playing with them. They tend to involve a hands-on playing experience, which develops their motor skills and hand-eye coordination. Not to mention, listening to the music makes for a more interactive playing experience. Your child’s auditory learning senses are also able to improve well too. If you have been having a hard time trying to bath your baby boy, you will definitely want to consider bath toys. The bath toys set that’s in this review is incredibly stimulating and challenges kids. They’re able to remain busy and entertained, which makes your job of bathing them a lot easier! Climbing toys can be fun for young boys. This is because they are going through the developmental phases where they’re working on their balance, coordination, and motor skills. These are all things that can be improved greatly with climbing toys. Toy cars are among the classic gifts for toddler boys. The ones that have been reviewed in this post involve kids pushing them around the floor or down ramps. As a result, they’re effective at helping your child to develop their motor skills and hand-eye coordination. If you’re wondering a little more about how to go about picking the best toy for your toddler based on their specific age, this is the section for you. Across the board, it’s always a great idea to be introducing your little one to numbers, letters, and colors from an early age. Getting them familiar with them can provide them with a deeper understanding in their later years. At 1 years old, boys are starting to work on improving their motor skills and hand-eye coordination. Therefore, we recommend picking toys that involve a very hands-on approach. For example, a building blocks set would be awesome. This is because they are simple enough to allow children to work on their motor skills and coordination, without becoming too easily frustrated. When your toddler reaches 2 years old, they will be ready for more of a challenge. So, something like a mini sports kit could be an excellent idea. They stimulate your child more and encourage them to be more active, while also still being great for developing their motor skills and coordination. Boys who are 3 years old have fun with using their imaginative side to play. Therefore, anything that involves toys that they can use in their pretend play games would be great. Moreover, toys that include realistic looking parts, such as tools, would also be fantastic choices. 3 year old boys have a lot of fun with these kinds of toys and it improves their creative thinking skills. So, that brings our review of the top toddler toys for boys to an end. Be sure to consider the main features, pros, cons, and what makes each one stand out before making a final decision. Our buyers guide section also includes some additional information that could be very useful in helping you to pick out the best possible toys for your little boy. Hopefully, everything you need to make the right choice can be found in our review!